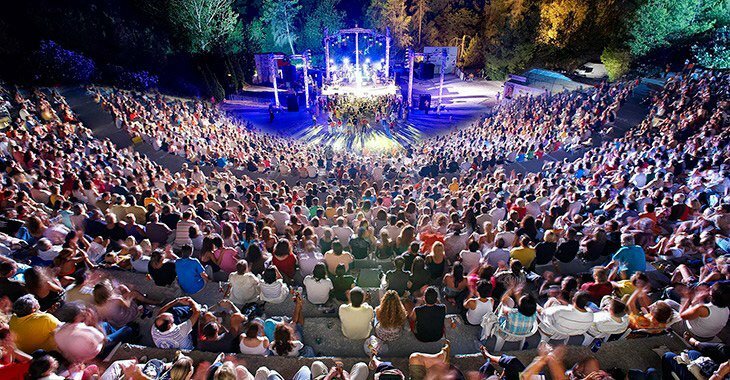 It is held every summer at Siviri Amphitheatre, in Cassandra Peninsula, Halkidiki. Since 1993, Cassandra Festival has been one of the top cultural institutions of Northern Greece, a web connecting people with the arts. The festival lasts two-months (July & August) presenting a wide range of options from all forms of the Arts and human expression (music, singing, theatre, dance, Visual Arts, etc. ), always reflecting the highest quality events from Greece and abroad.